Pete and Leslie decided to go against your traditional wedding trends and standards and instead opted for details that were more meaningful to them as a couple. Those details created quite possibly one of the most beautiful and unforgettable weddings anyone has ever attended. 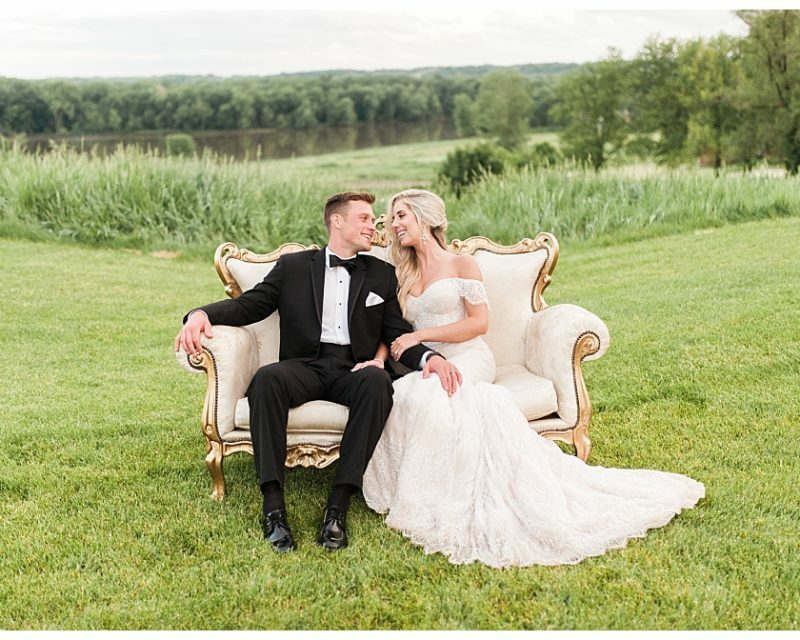 Just look at the bride’s AH-MAAAZING green wedding dressed designed by Jovani – there has never been a dress more suited for an individual than this one was for Leslie. While it wasn’t an easy process finding an “unconventional” wedding dress, she ordered it without knowing if it would work, and it ended up being exactly what she wanted. It literally looks like it was made just for her! Pete and Leslie met in Athens, Georgia through mutual friends in 2011. They were friends all throughout the summer of 2011, and would find themselves drawn to sharing stories with one another for hours on end, even when surrounded by a big group of friends. They made their relationship official at the beginning of 2012. Originally Pete wanted to propose in Asheville, North Carolina, which is Leslie’s favorite place to visit. But once he started planning that trip, Leslie knew it would be the trip he proposed during. Their schedules started filling up quickly, and Pete realized he needed to propose quick or he was going to have to wait a while. On April 17, 2016, Pete and Leslie went to breakfast with some friends, then hiking in the mountains, where Pete proposed at Rabun Bald Lookout Tower – a beautiful mountain overlook in Georgia. Afterwards they went to Tiger Mountain vineyards to celebrate. I love everything thing about this! I love that they did non traditional from the wedding dress to the invitations. This dress is gorgeous! Such a bold and fantastic idea. This literally made me tear up and I don't even know these people!!! This wedding looks like an absolute fairytale. The colors have me swooning, her dress is jaw dropping... that ring, those shoes!!! You did such an amazing job capturing these little details and this whole blog is absolutely breathtaking!!!! That emerald color is absolutely stunning! What a beautiful wedding! I love that they went non traditional on the wedding! An amazing dress! That emerald gown is stunning! What a gorgeous wedding! Oh Stephanie!! These photos are STUNNING!! They’re so dreamy!! And that emerald gown is just gorgeous! The color truly is striking! Wow this dress is stunning!! It goes with her hair so perfectly! And I can feel the love in this picture! The colors in these photos are absolutely gorgeous!! 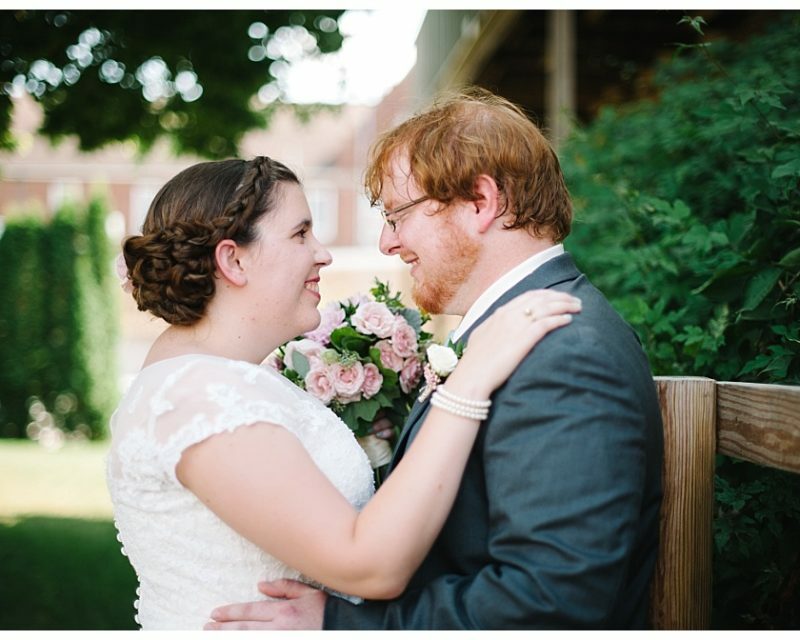 I love how you captured so many sweet moments of the bride and groom together. The photos show so well that they are truly happy together! 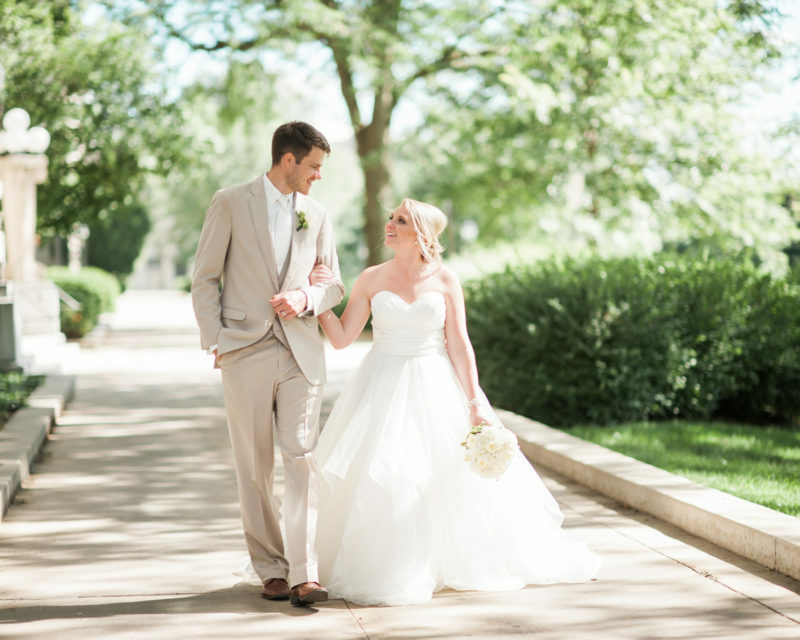 Gorgeous wedding captured exquisitely by Stephanie! I’m in love with the green dress. This couple is Stunning!